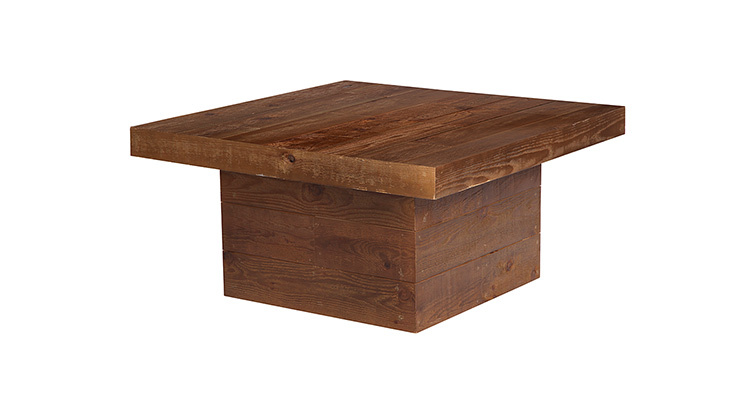 The Timber Coffee Table is a custom-designed coffee table made of distressed hand stained Cedar wood. The Timber Collection includes a Dining, Cocktail, and Highboy Table, as well as the Coffee Table, Pedestal and Bar. It is one of the components of the Nob Hill Lounge Grouping – Beige.